Eddie Jones is as good as any coach on the world stage at spinning a narrative his way. And so it was after England’s 16-15 loss to the All Blacks – a gracious Jones acknowledging the winner, a beaming Jones pointing to his side being on an upswing, doing themselves proud, all with a number of experienced, first-choice players still to return from injury. Michael Cheika has form in this regard too. 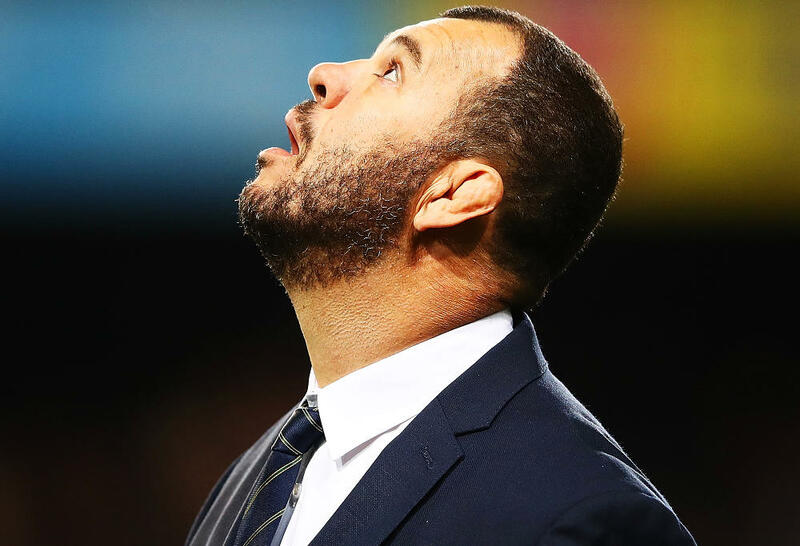 His return recently from South Africa and Argentina had many expecting it to be marked by a reaming from his employer, yet Cheika emerged unscathed and on target for Japan 2019. With the Wallabies 6-9 loss to Wales, Cheika painted a picture post-match, of yet another disappointment to be “taken on the chin” (8 Tests lost from 11 this year), but with improvements to be worked on, and nothing to be unduly concerned about in the bigger picture. There was one key difference between the two losing press conferences. Jones’ optimism was believable, Cheika’s is no longer. With Cheika less than a year from the end of his contract, with a World Cup inside that period, with a strained balance sheet and with no obvious successor in waiting, Rugby Australia can be excused for sticking with their man. This was easily the most disappointing of all of the Wallabies’ losses this season. The match was played under a roof, in perfect conditions, against a willing but limited opponent, and the Wallabies – better conditioned this season – are not running on exhaust fumes like they were on last year’s November tour. Better was expected – far better – and the fact that this wasn’t even close to being delivered will surely have made for a very difficult Sunday for Raelene Castle. The question must now be less about Cheika, and more about what lies beyond. Wallabies fans can only take so much optimism, or offer up so much trust. And if there is indeed a “carrot at the end of the tunnel” as captain Michael Hooper suggested afterwards, there is no light in there to help find it. 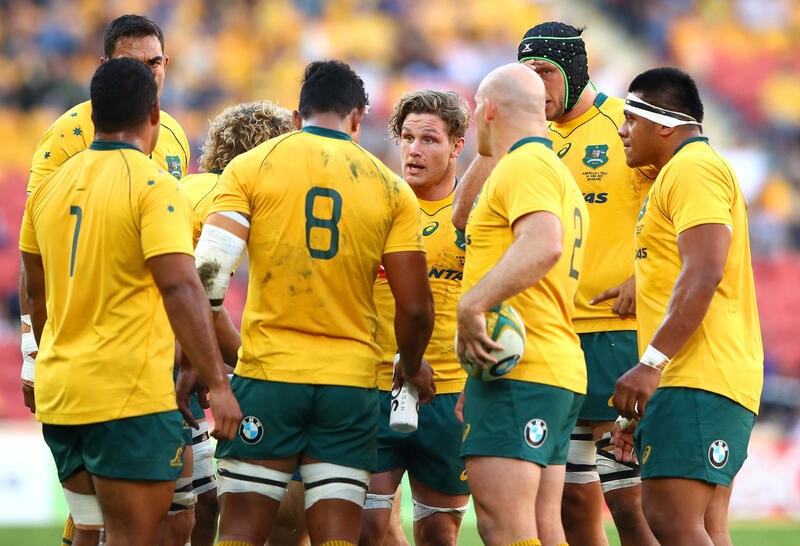 Rugby Australia’s pressing issue is to determine what can be cobbled together as a coaching alternative, and action it without breaking the bank. Is there an interim solution to take effect up until the World Cup, with a considered and comprehensive recruitment process to take place after that? Or can a permanent solution – perhaps someone like Scott Johnson in a Director of Rugby-type role – be brought forward by nine or so months? Whatever the process and outcome, it is imperative that whoever does become the next Wallabies coach brings heightened tactical awareness – and more nous at selection – in order to effect change that is lasting, not just flecks of carrot. Forget for now about linking in all of Australian rugby’s poisonous parochialism and rent seeking, lack of financial resources, or the concerns about administration. Of course these have a flow-through impact on the playing side, but the quicker (and more impactful) fix lies at the coaching coalface. Hooper tried manfully – as he always does in every match he plays – but his decision to turn down easy shots for goal, in a tight match where points were at a premium, was naïve in the extreme. The Wallabies’ best rugby this year has come when they have played directly, yet in this match, time and again, their first-phase backline play was marked by over-elaborate moves, conducted deep behind the advantage line, on a 45 degree angle to the touchline. Throw in a lack of numbers at the attacking breakdown – a consistent failing this year – and these were easy pickings for a well organised Welsh defence. Into the second half, the Wallabies backline totally lost shape, and with no prospect of any running success, Bernard Foley and Kurtley Beale resorted to horrible, aimless, inaccurate kicking. Of itself, kicking is not a crime – look at some of the superb tactical kicking in the England versus New Zealand Test – but where was the identification of space and the purposeful kicks to apply pressure? Or variation instead, from Genia’s boot? Or sending Israel Folau into the air on an isolated Welsh catcher, a tactic that was all the rage in June? Beale played as if he was back at Joeys, with a licence to try whatever he liked, with no need to let his teammates in on what he was doing. But his worst crime was that when he ran out of ideas or out of puff, he didn’t allow a teammate to take over, but simply handed the ball over to Leigh Halfpenny. In the credit column, the scrum was better than the officials deemed it, and Isaac Rodda enjoyed a strong match and is growing nicely into Test rugby. Genia too was all class, tidying up a number of awkward defensive situations. The trouble is, for every match he plays out the whole 80 minutes, depth at halfback is further compromised. With England slipping off the pace in this years’ Six Nations tournament, then losing a series to South Africa in June, Eddie Jones appeared to be at a crossroads. But what Jones’ team has that Cheika’s team doesn’t, is a clear method, and a distinct sense of identity, that allows squad players to play to a more simple pattern that is both easier for them to adapt to, and is suitable for the tight cut and thrust of elite Test rugby. Thus a win was eked out against South Africa last week, and very nearly another one against the All Blacks, in what was a cracking Test match, despite what were awful conditions. England’s start was one to behold. Halfback Ben Youngs had the ball on a string, and the All Blacks did not take their first meaningful possession until the 10th minute. It was as if the rain had led the All Blacks to talk themselves into a kicking game they didn’t really want to play, but eventually – aided by the steady hand played by Ryan Crotty, and astute leadership from Keiran Read – they found the right mix to their game. Read’s call to ignore a kickable penalty after 37 minutes was not comparable to Hooper’s. On such a dirty day a 15-point deficit was a huge one, and decisive action was needed to turn things around. And for the All Blacks to find themselves down by only 15-10 at halftime, that was really the winning of the game. With Beauden Barrett stepping up to the plate in terms of game management, New Zealand gained ascendancy in the middle period. This was also due in no small part to Brodie Retallick giving Maro Itoje a bath at the lineout – it is not a stretch to suggest that if Retallick was still out injured this result would likely have gone the other way. To their enormous credit, England wrested control back in the final stanza, cleverly dominating field position. On another day, they may not have shifted play away from Owen Farrell’s drop goal range, or perhaps the penalties would have come, but New Zealand’s discipline held. Ironically, it was a penalty the other way that proved crucial, Sam Underhill’s 40-metre dash to the line coming to nought after TMO Marius Jonker ruled Courtney Lawes offside in the act of charging down TJ Perenara’s kick. 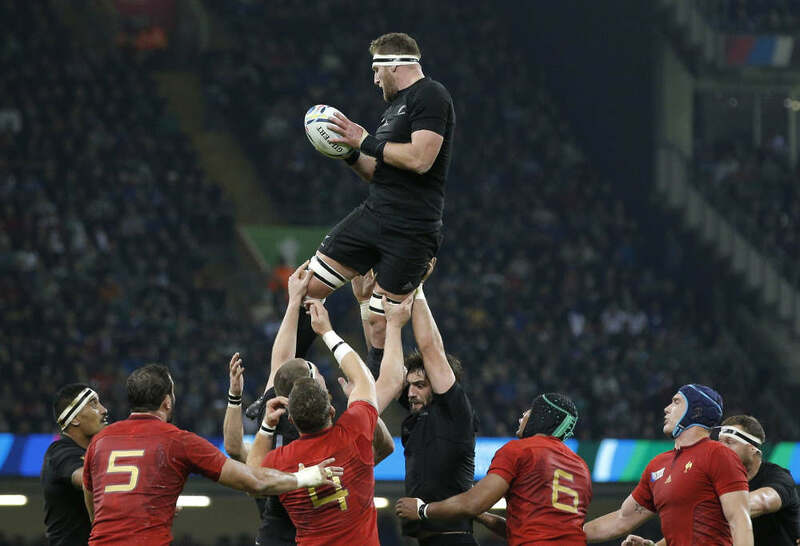 There was little in it, but with the All Black ruck players having edged forward, Lawes was a crucial half-step in front of the hindmost foot. New Zealand could take their win with clean hands, and no doubt, with an eye to Japan, a deal of satisfaction. Whatever the degree of controversy about Jonkers’ decision, ever since referees started allowing the halfback to fiddle around with the ball at the base of the ruck with impunity, this was a matter of contention waiting to erupt. As such it has become almost impossible to accurately determine when the ball is out or not, and while referees will on occasion call it for players, if they were to call it every time – which would seem one way of allowing everybody a fair crack – perhaps we are closer to the institution of two referees than we think. The weekend marked the 100th anniversary of the end of hostilities in World War I, and the London and Cardiff Test matches were both preceded by moving tributes. In addition, all four sides wore poppies embroidered into their sleeve – no doubt allowing the players to reflect on their good fortune to be playing professional rugby in 2018, and not to be young, conscripted men 100 years before. 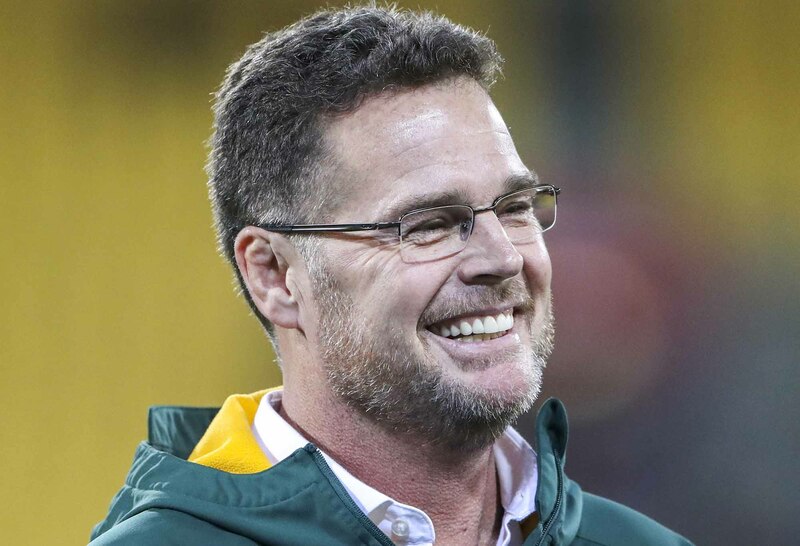 In Paris, South Africa continued their progress under Rassie Erasmus, winning a thriller, 29-26, Bongi Mbonambi plunging over for the winner well after the 80th minute when, moments earlier, France seemed certain to play out the game deep in the Springboks’ 22. France led in the second half by 23-9, and with better execution on the grubber kick, and kick-off receive, should probably have led by more. But a couple of turnovers from Francois Louw shifted momentum late and left Erasmus smiling like… Eddie Jones. As magnanimous as he was in defeat, Jones did however lose out on the sportsmanship award for the weekend, Springbok prop Vincent Koch’s timely and thoughtful intervention saving French winger Teddy Thomas from an inglorious tumble over the top of advertising hoardings. With controversy seemingly lurking around every corner these days, a word is needed here for referee Nigel Owens. With emotions high and contentious decisions mounting, Owens was unflappably calm, clear and correct, and by this measure, remains the world’s premier whistleblower. Despite their creaky scrum, Argentina pushed Ireland hard, although I suspect that with the All Blacks in town next week, this would have pleased Joe Schmidt as much as anyone. 28-17 to the home side. That was the identical score as Italy dented Georgia’s Six Nations aspirations, while Scotland out-Fijied Fiji, running away 54-17. With Fiji drawn in Australia’s pool in the World Cup, and still lacking the preparation and game time of ‘Tier One’ nations, this was probably the only ‘real’ carrot in the tunnel for Australian fans this weekend.